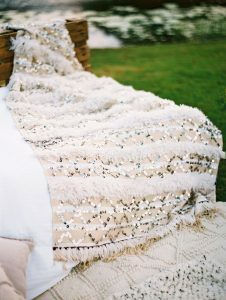 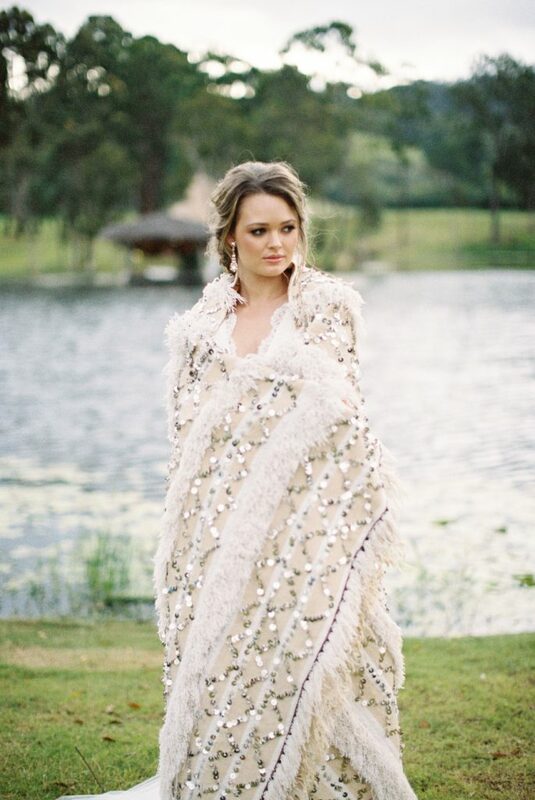 I fell in love with Moroccan wedding blankets, their incredible detailing, those antique sequins, all the family hands that go into making one blanket, and what that blanket stands for to a new bride. 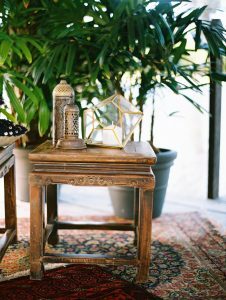 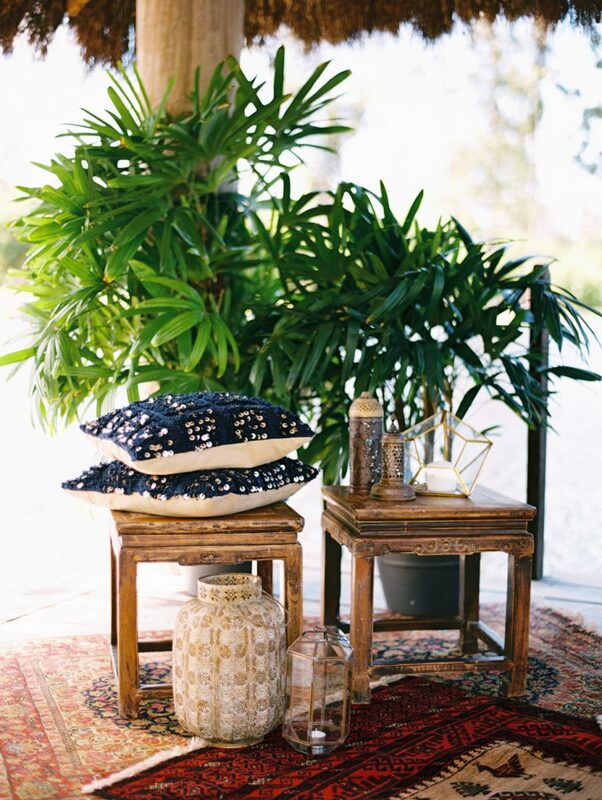 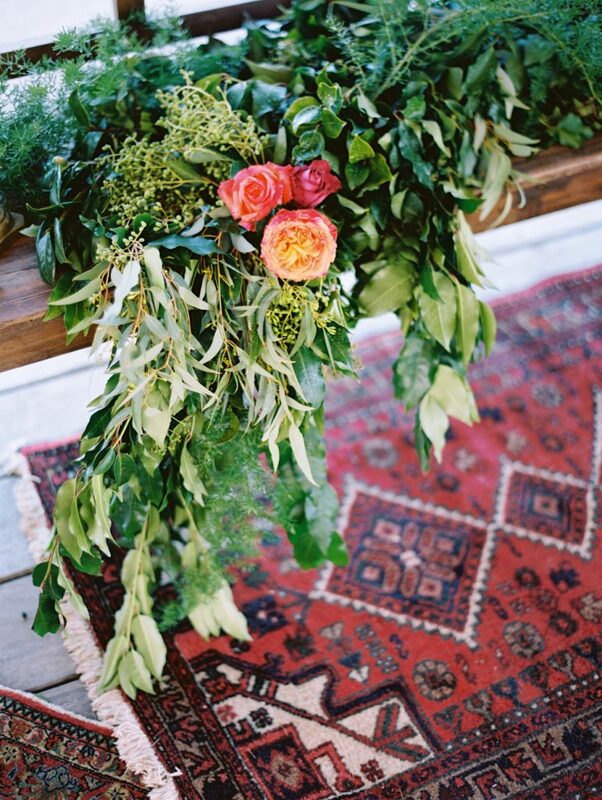 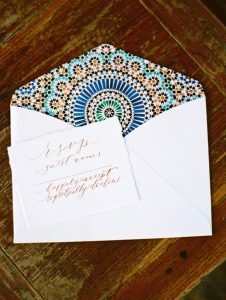 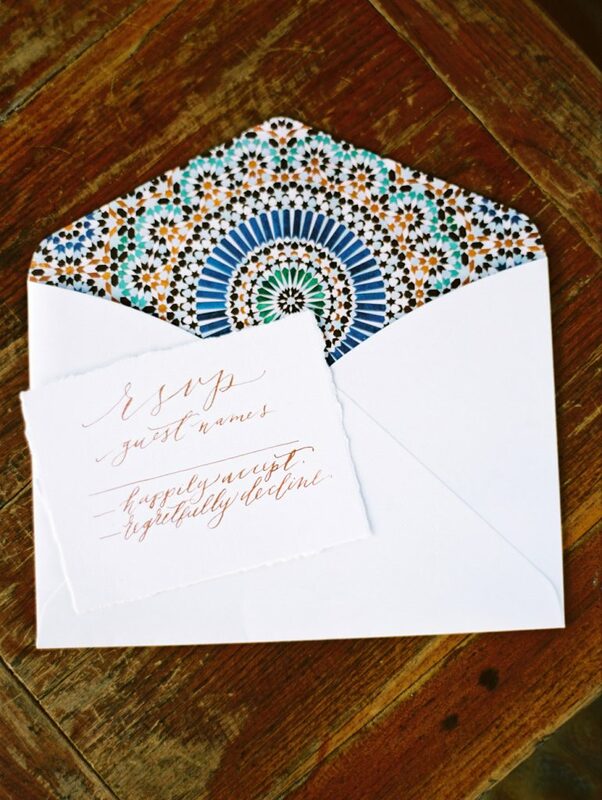 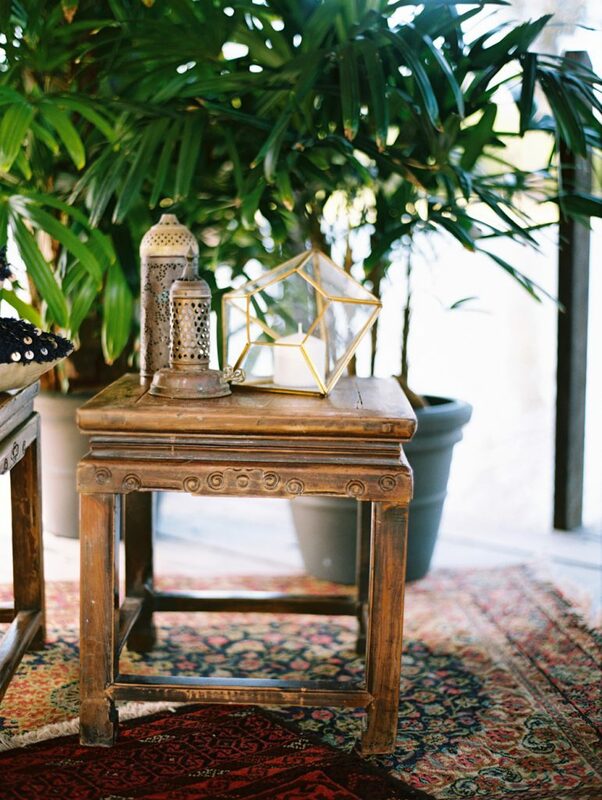 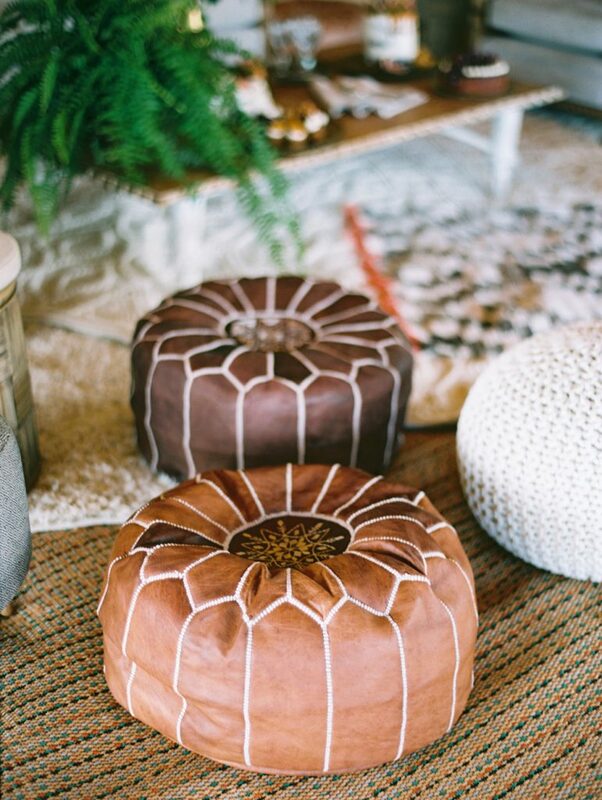 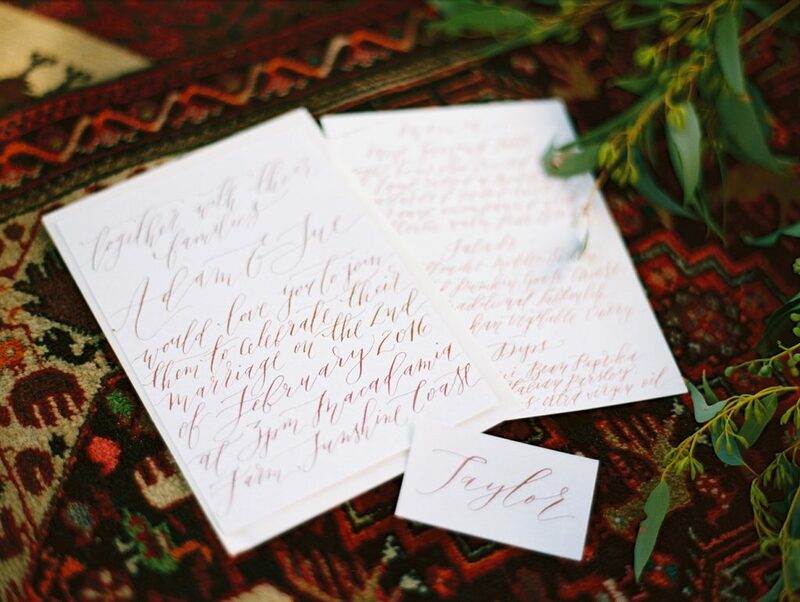 The purchase of my own Moroccan wedding blanket, then led onto the purchase of some new Moroccan pieces for Lovebird Weddings which just naturally took the form for our shoot. 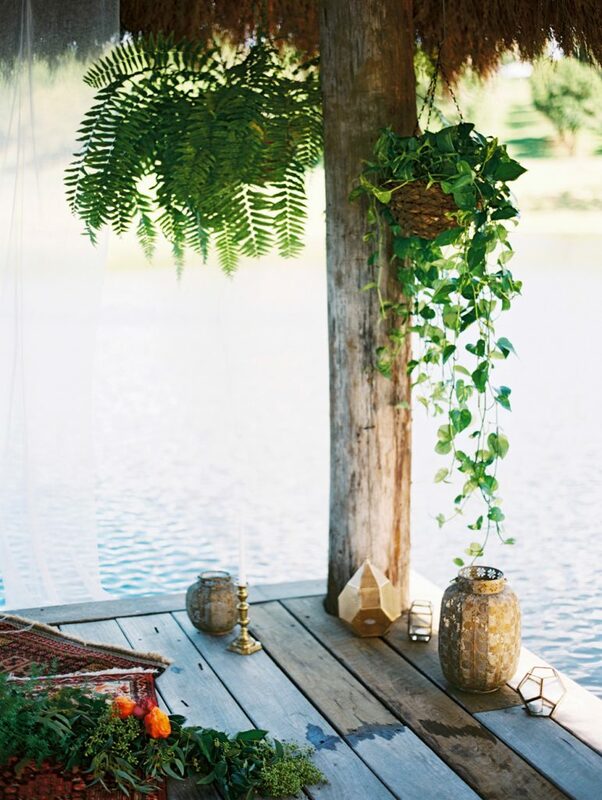 Were there any particular items on your inspiration board? 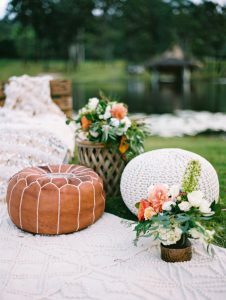 The wedding blanket, lots of natural wooden furniture, comfy cushions, leather pouffs, and lanterns. 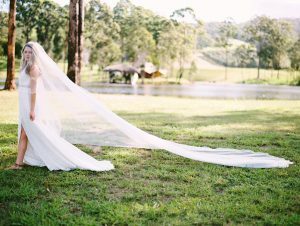 What was the colour palette? 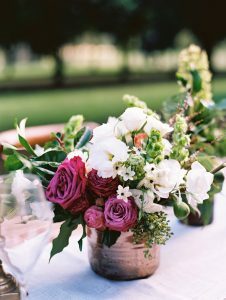 This was then teamed with delicate pops of Warm Copper & Burnt Orange, Garnet, Eggplant and Indigo Blue. 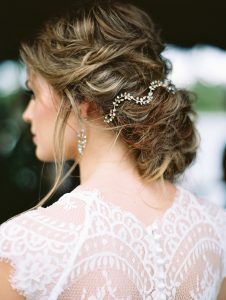 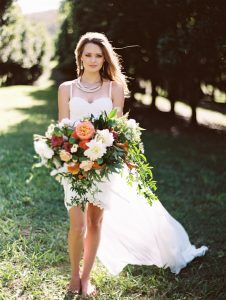 How would you describe the style of this shoot? 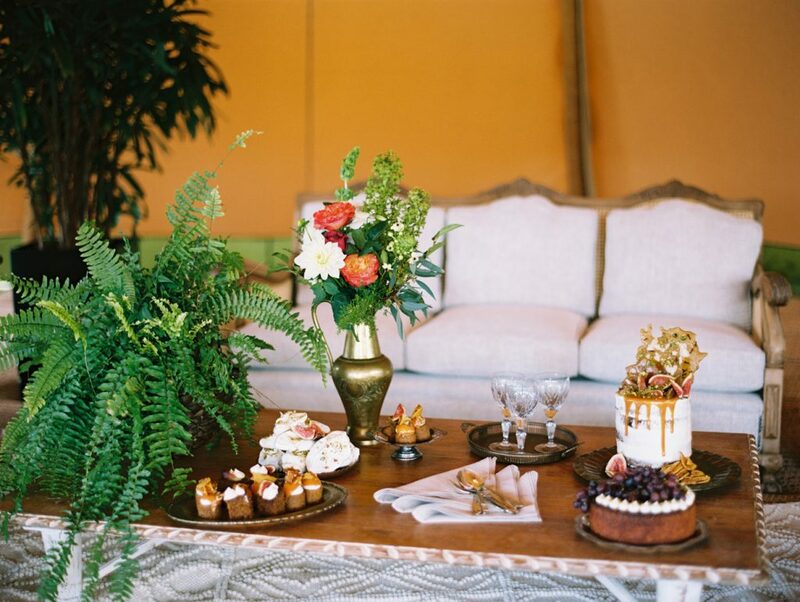 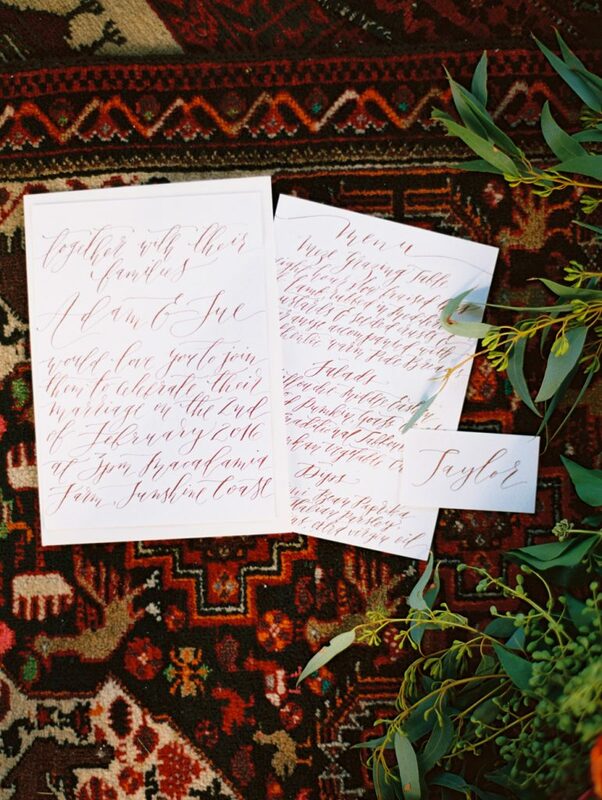 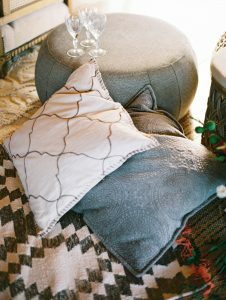 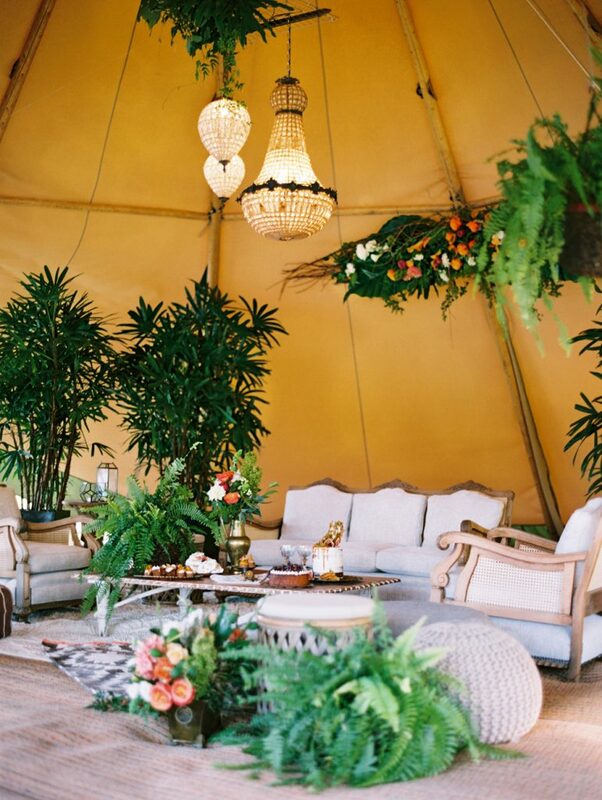 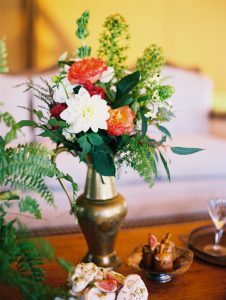 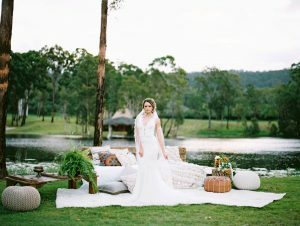 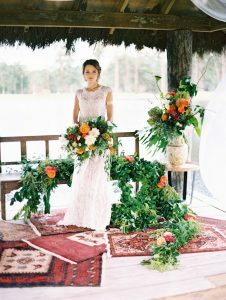 Infused with Moroccan style, and set amongst a manicured Australian macadamia farm, this shoot layers colours, flavours, foliage and fabrics to create relaxed luxury. 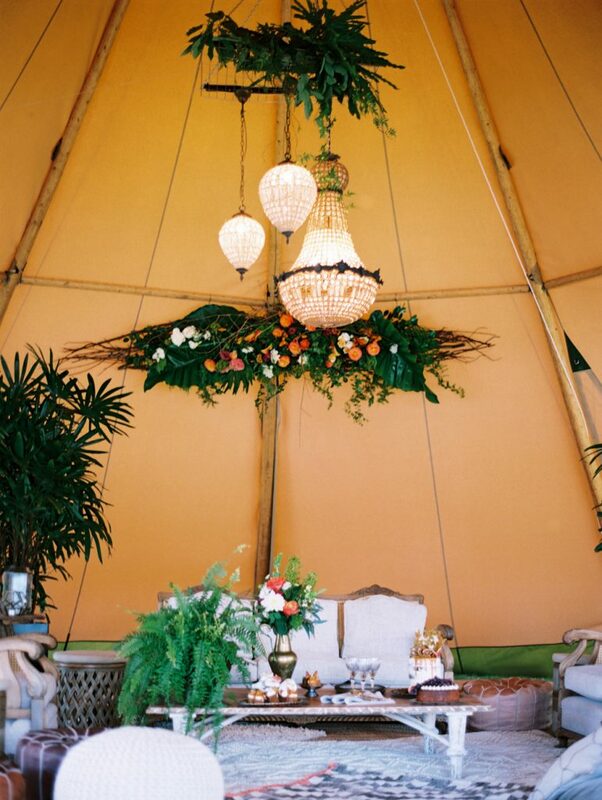 What were the key stylistic and decor elements? 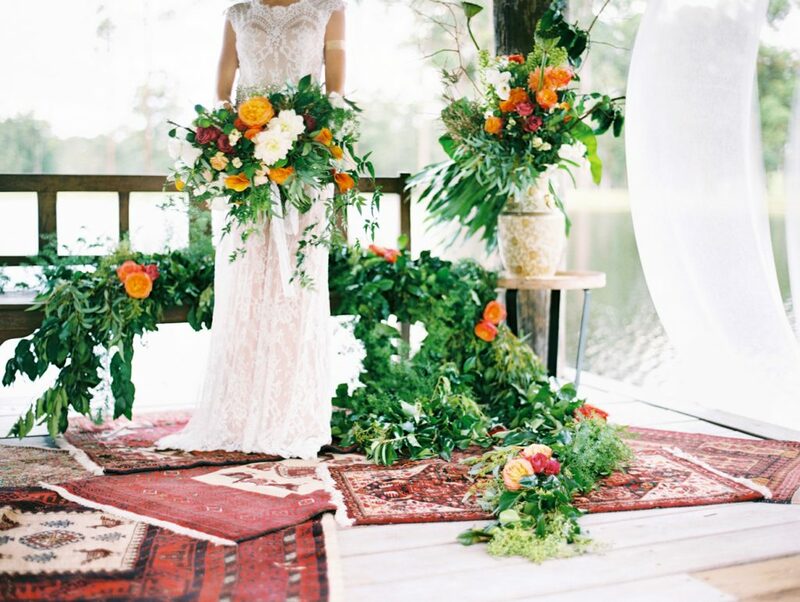 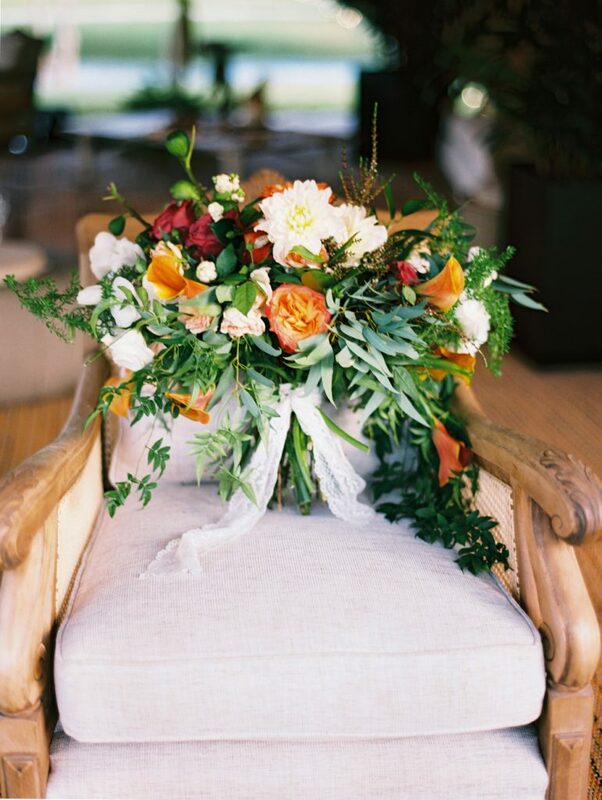 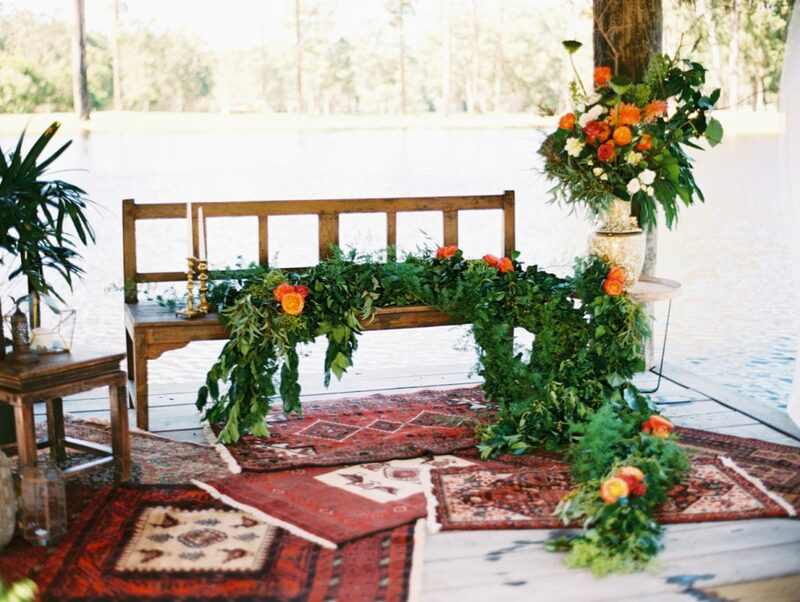 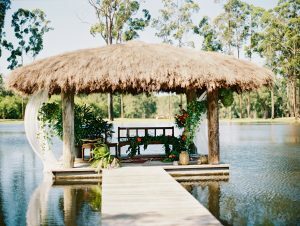 The ceremony was created using the lake pontoon feature on this incredible private macadamia farmâ€¦muslin softened and floated into the water, and we used an antique wooden bench seat to create the altar piece, Persian carpets to bring depth and comfort to the floor and a decadent floral design to bring all the elements together as one piece. Hanging plants also added to the luscious feeling of the altar space. 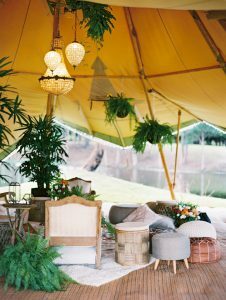 The garden party setting was created within a tipi which provided a cosy space in which to build an oversized lounge setting. 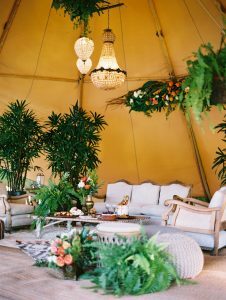 Lots of greenery and comfy cushions and leather pouffs were teamed with an antique lounge setting, recently reupholstered. 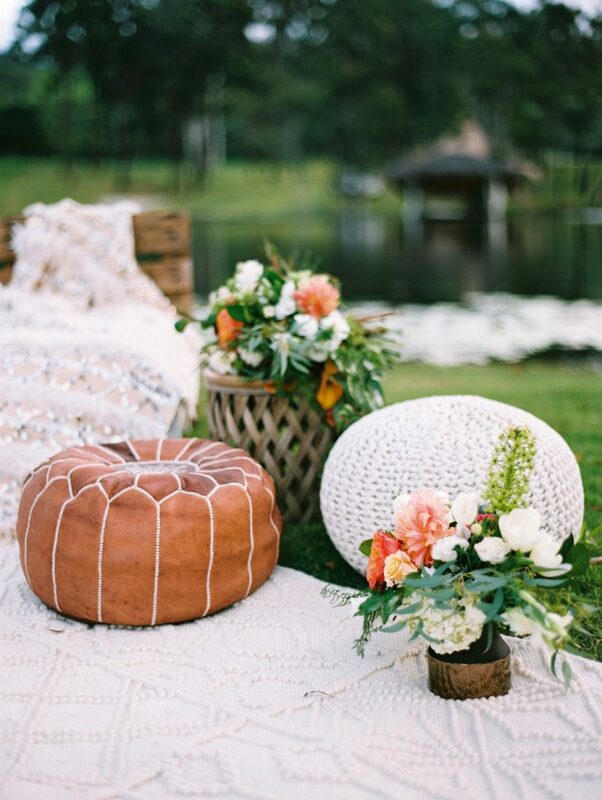 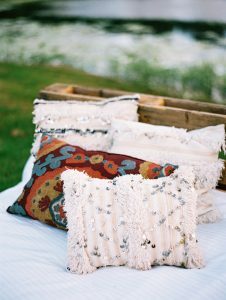 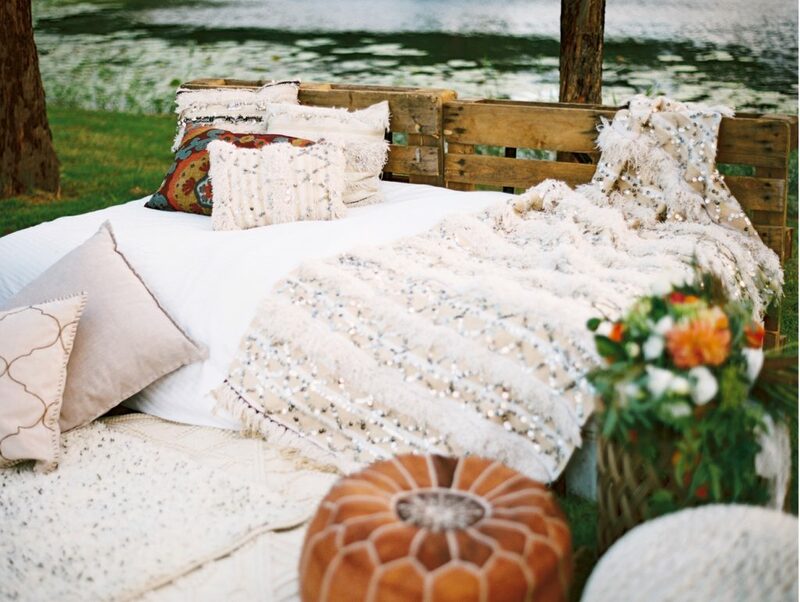 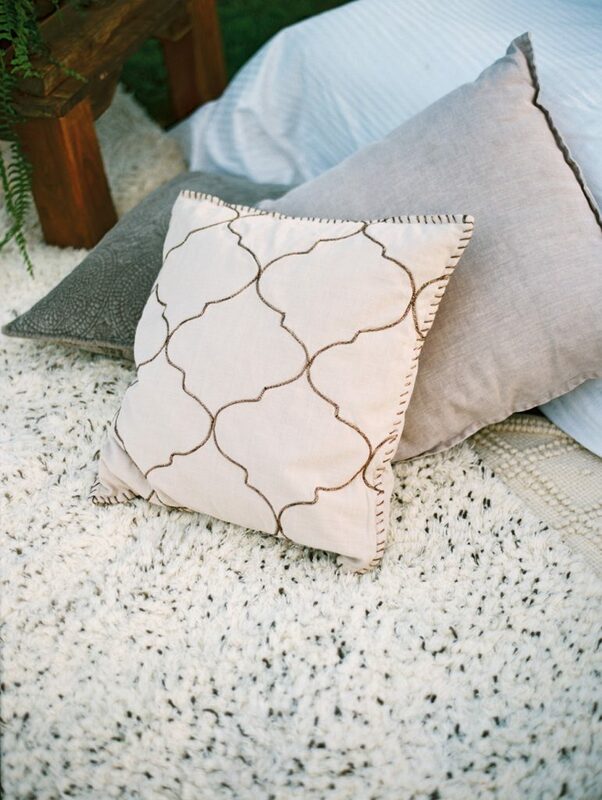 A bride and grooms chill out space was created across the lake, and this is where we used the Moroccan wedding rug as a key feature, along with wooden pallets to create a head to our day bed. 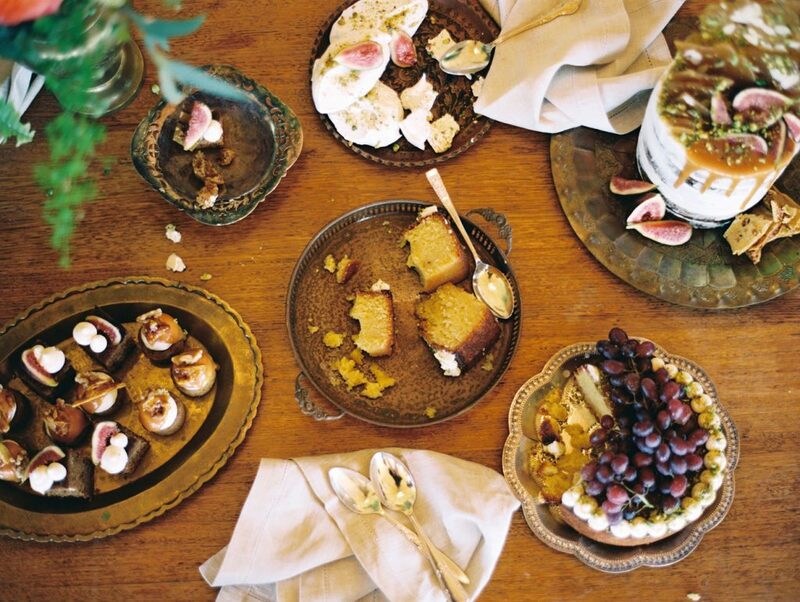 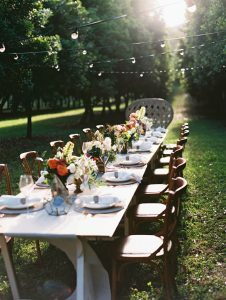 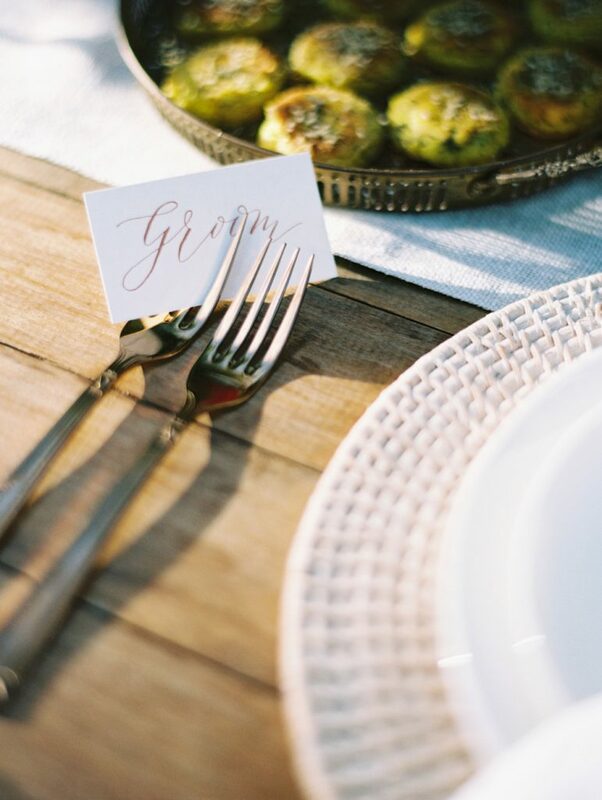 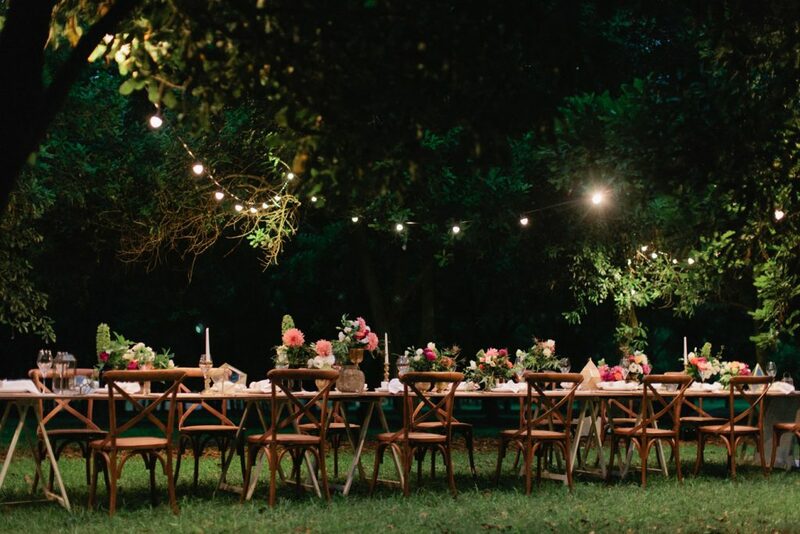 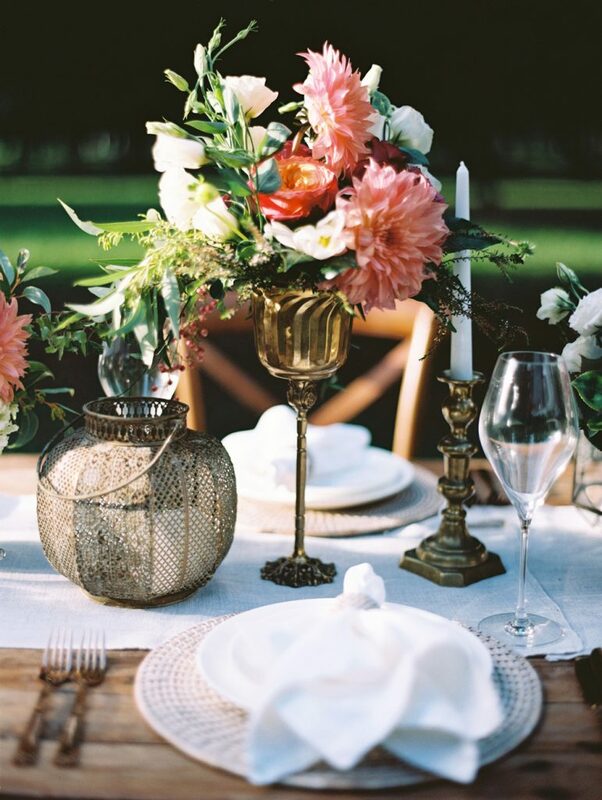 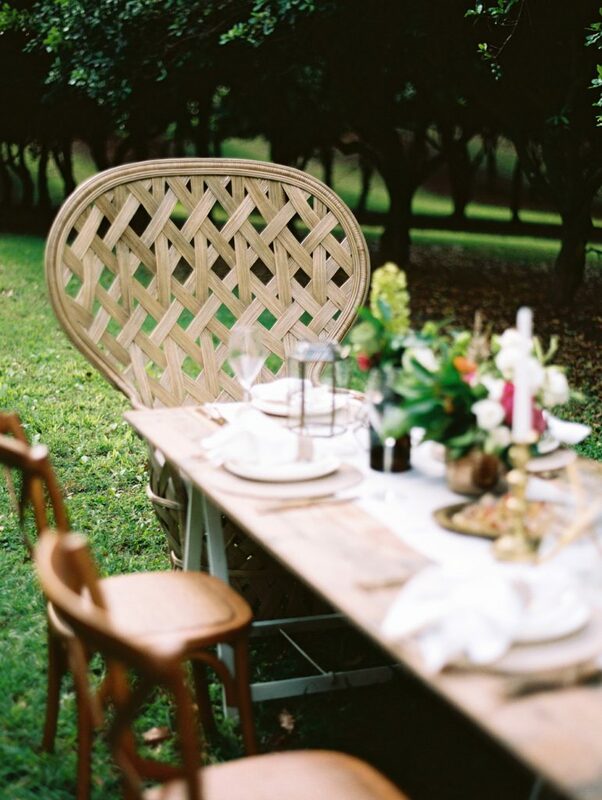 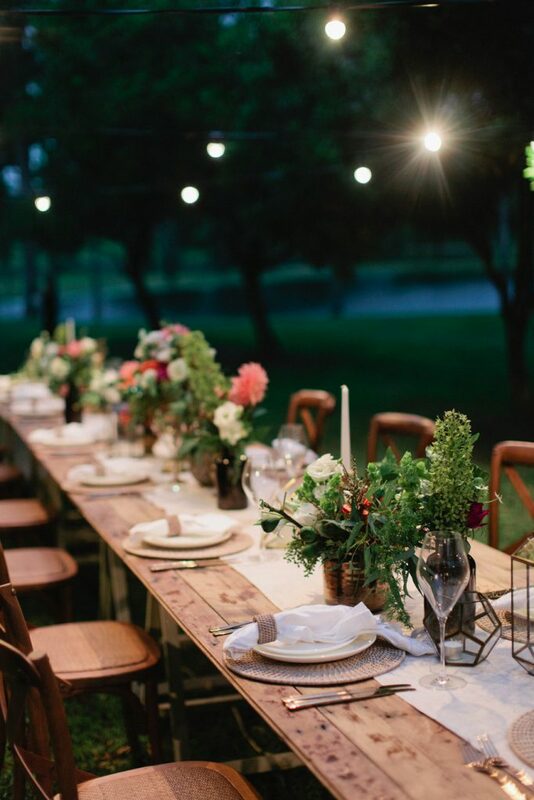 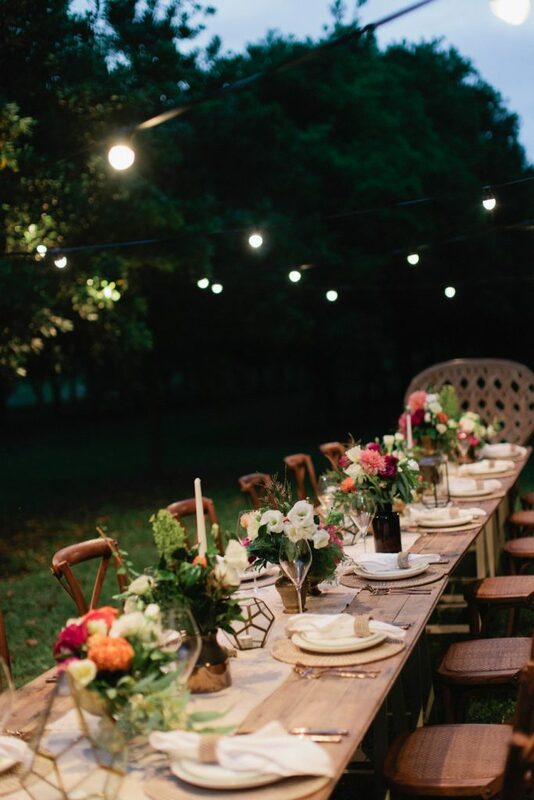 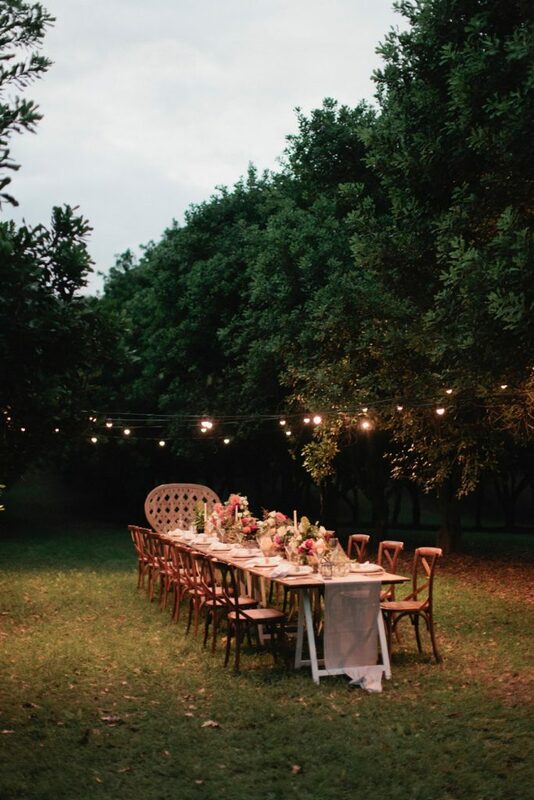 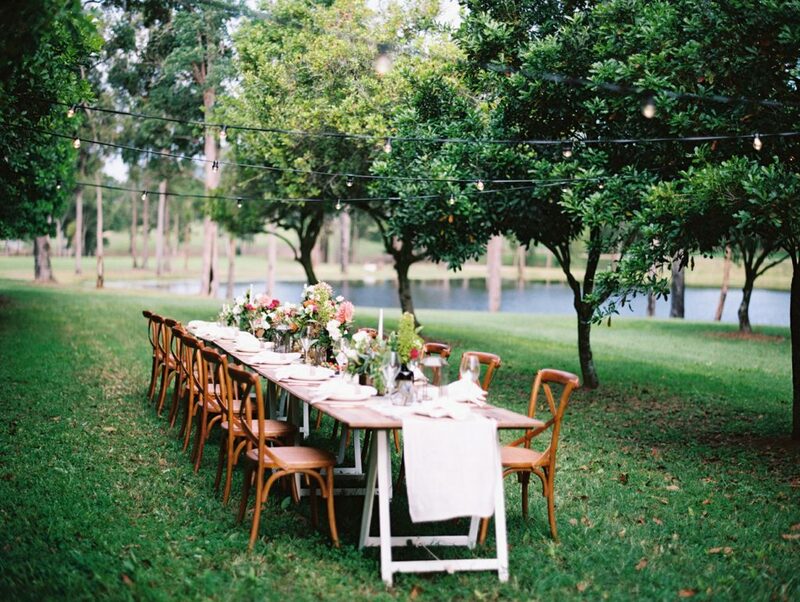 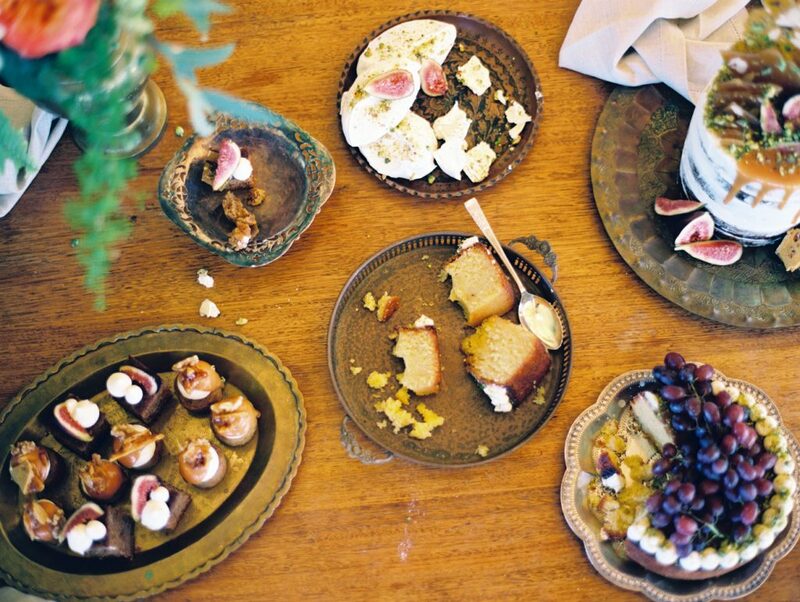 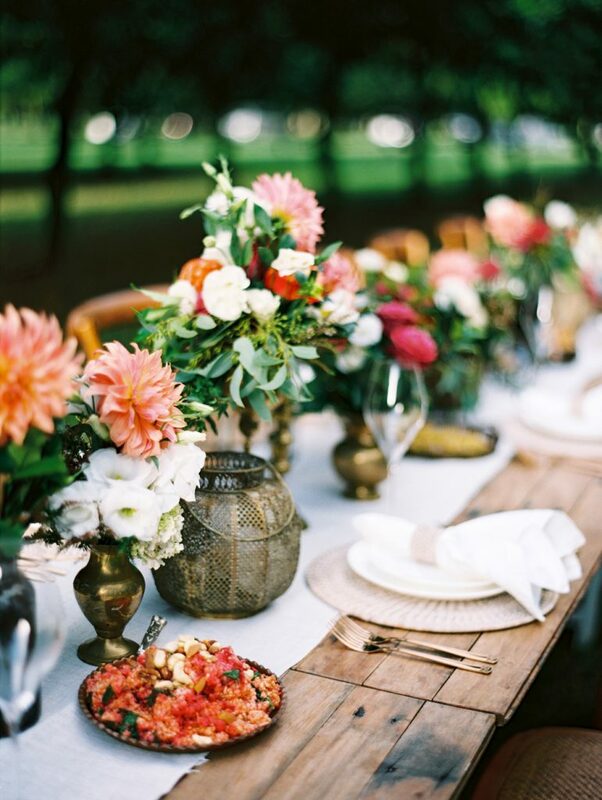 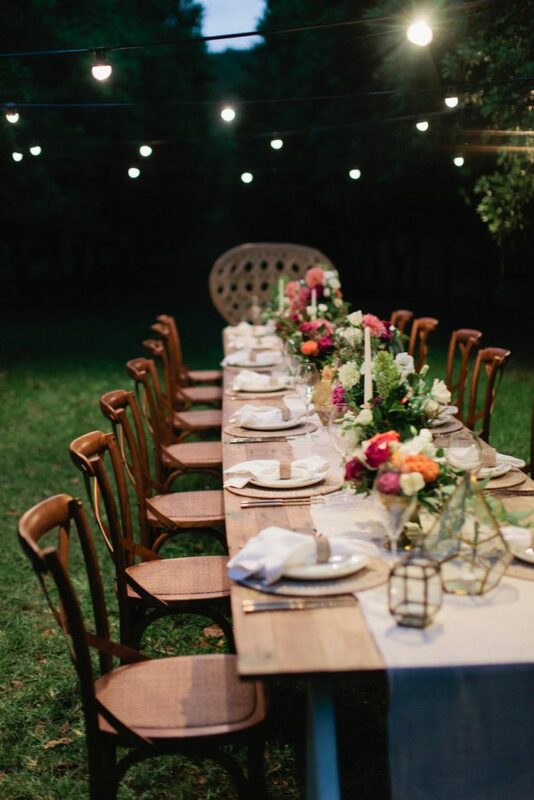 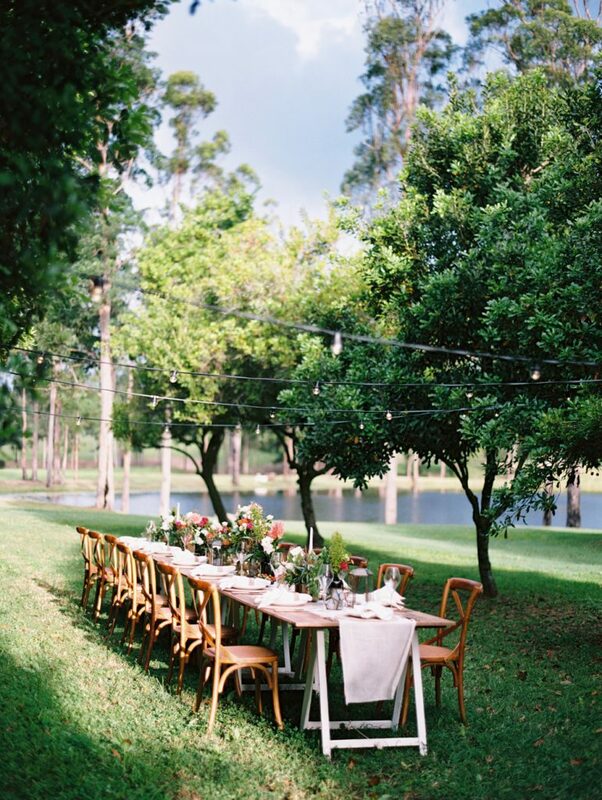 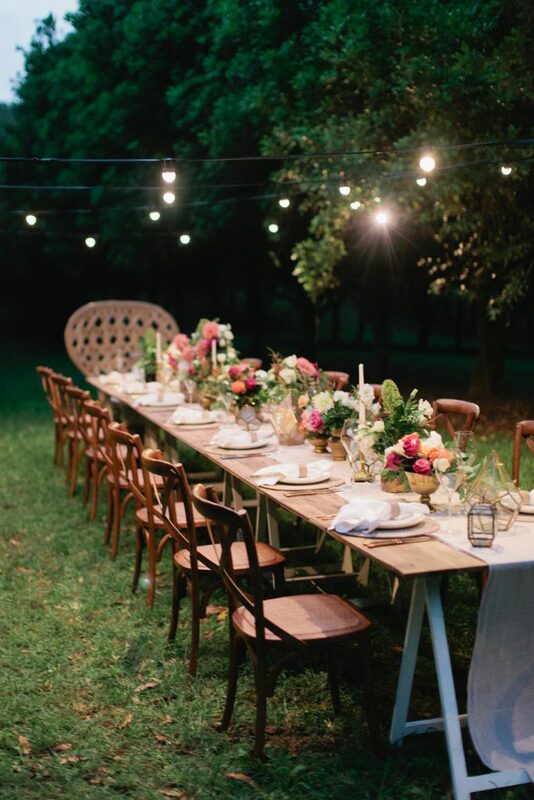 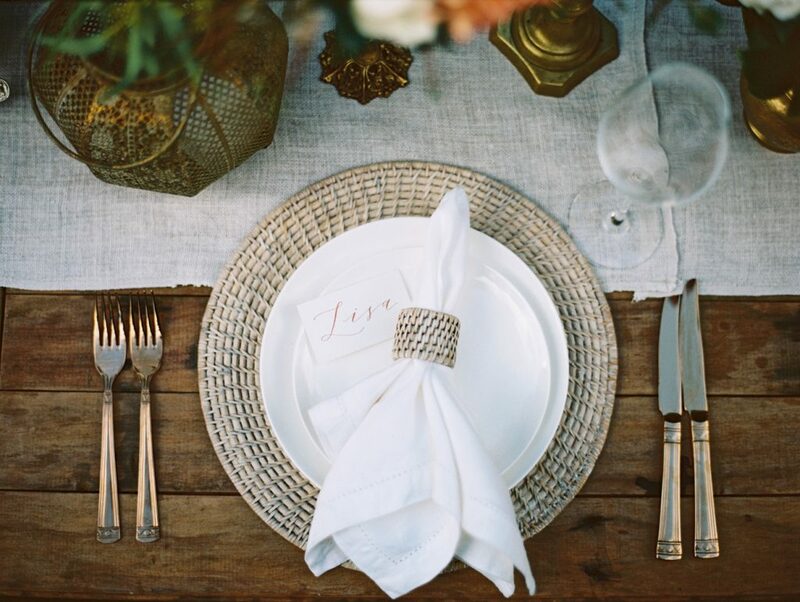 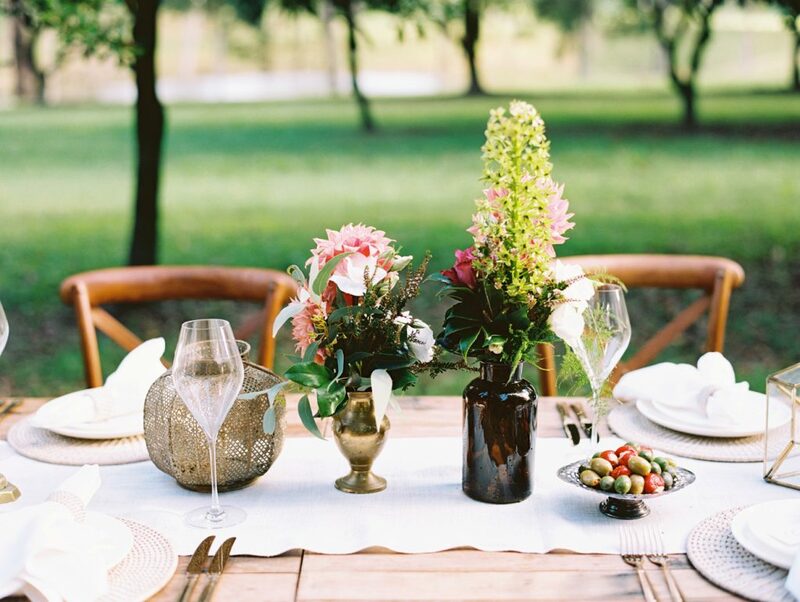 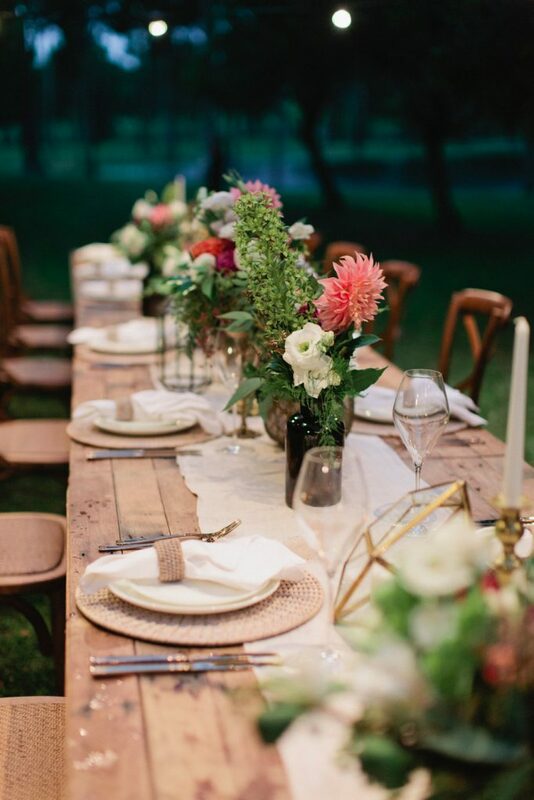 We wanted to create an intimate reception setting up the macadamia rows, with a feasting feel about the table. 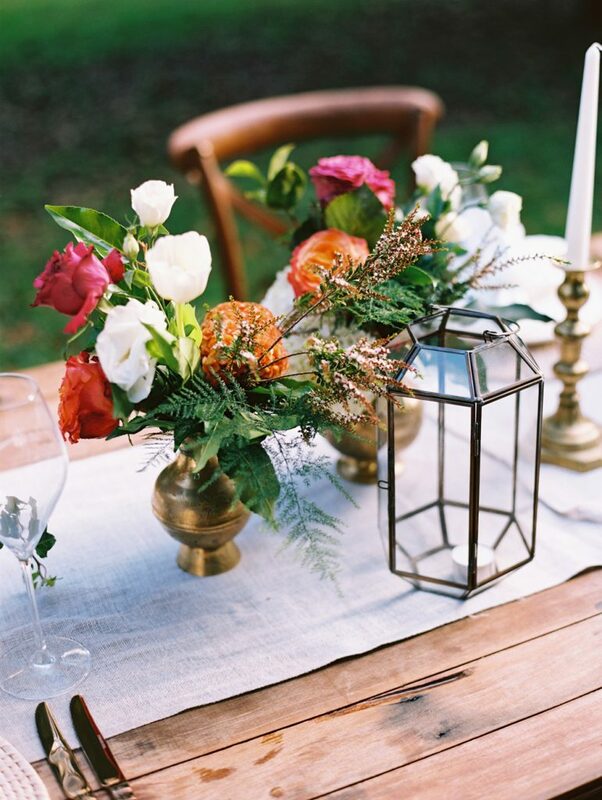 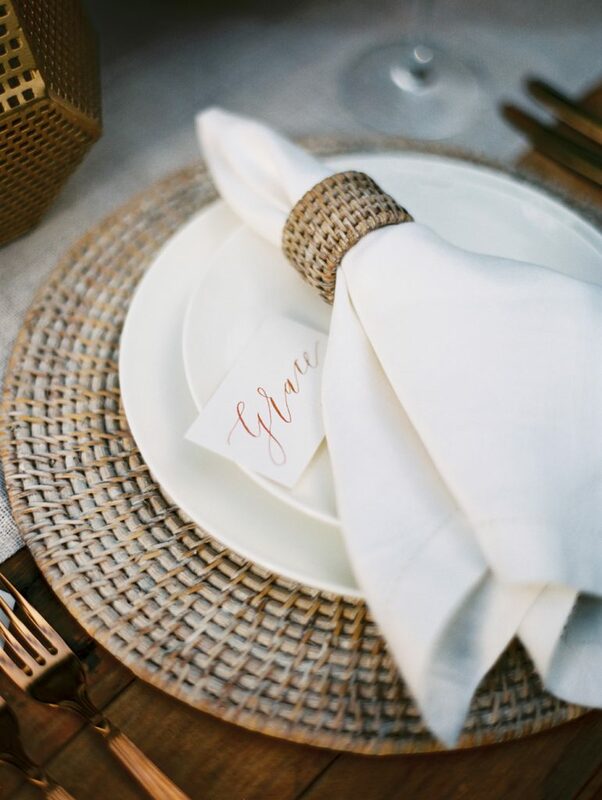 Lots of textures created this setting, including wooden tables, rattan place mats and napkin rings, copper cutlery and hand-written name cards and menusâ€¦plus lots of texture throughout the floral vessels and lanterns. Another element on top of this was the food platters, all vintage trays filled with bright a colourful share food. How did you put them together to create the overall mood and atmosphere? 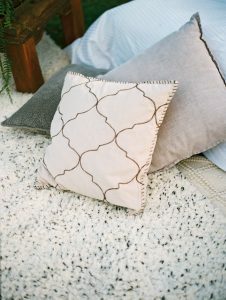 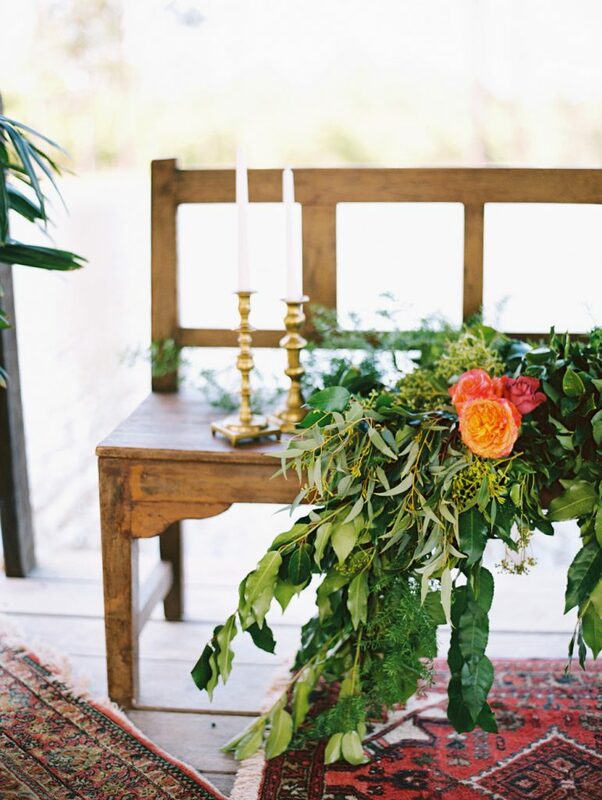 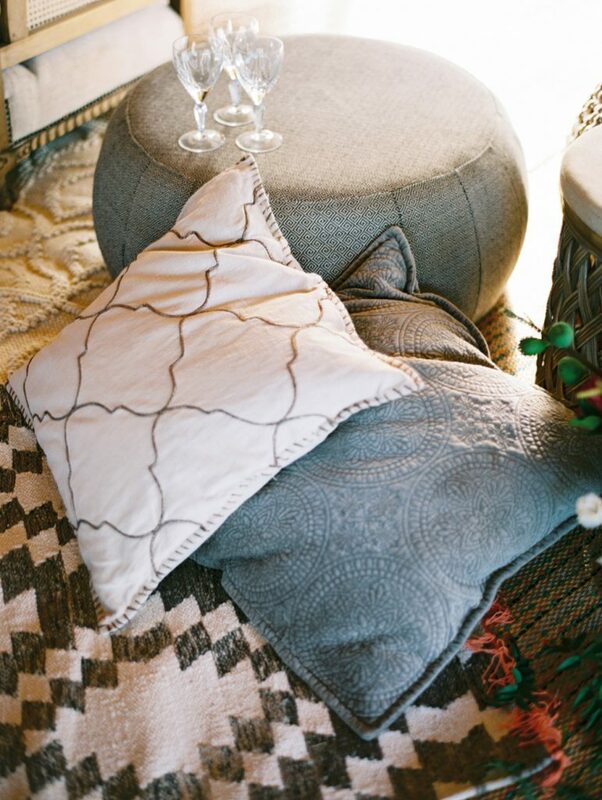 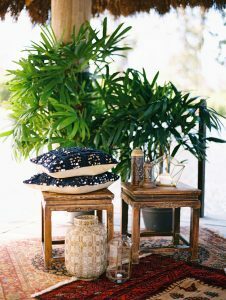 The key to this style I felt was the multiple layering, comfy textiles, and the use of a lot of greenery. 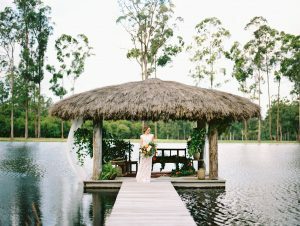 How important was the location to the finished product? 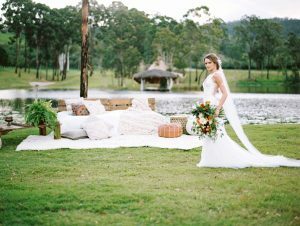 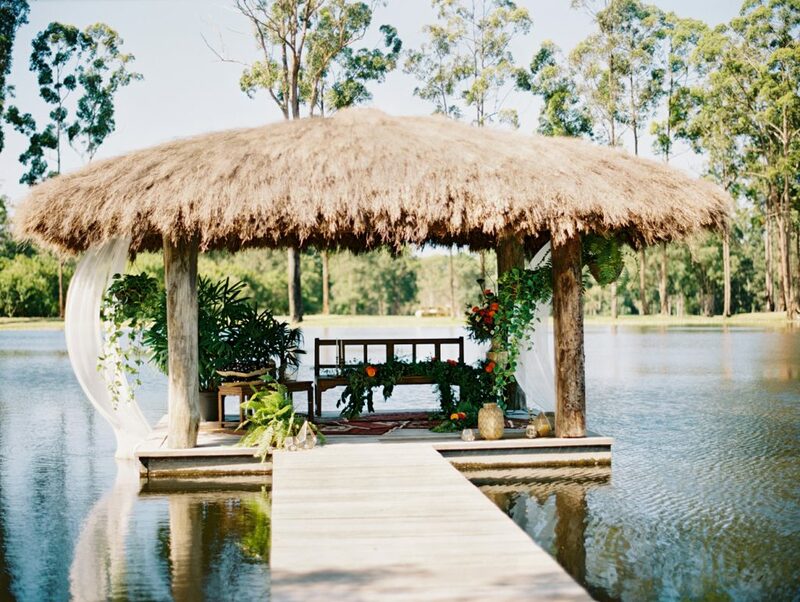 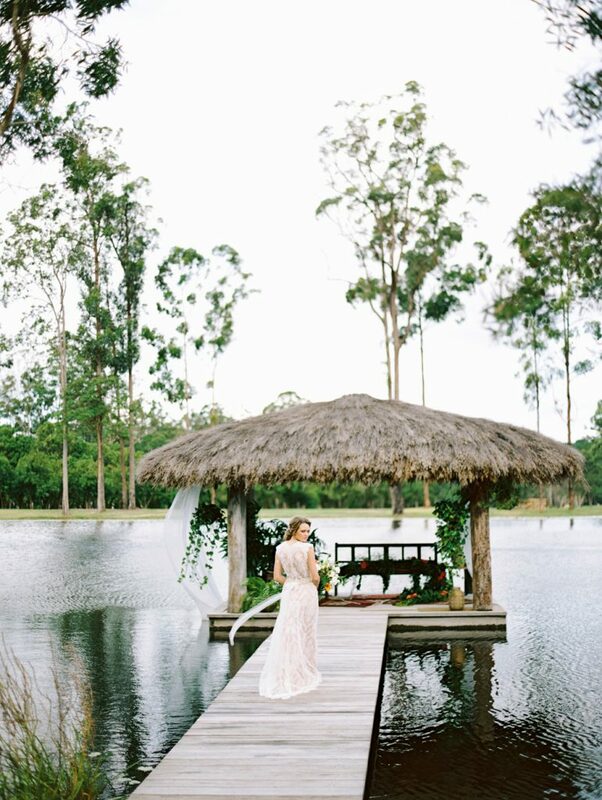 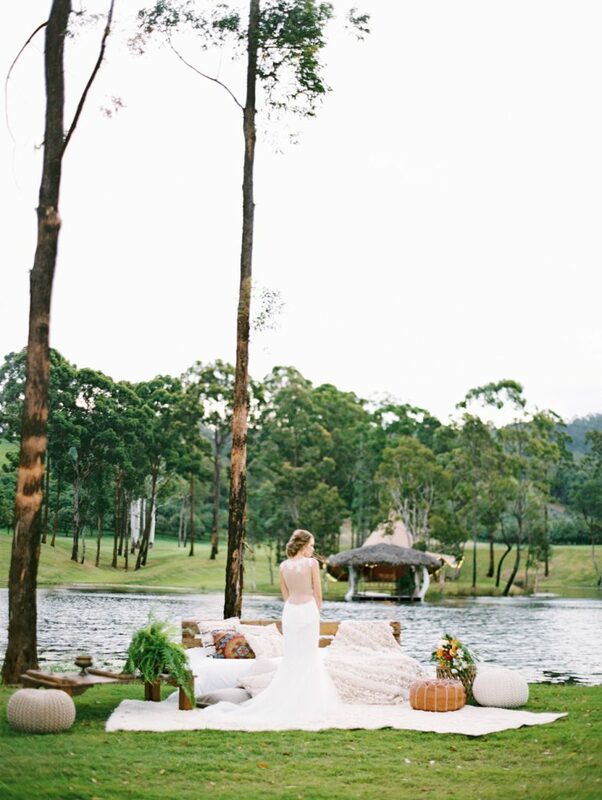 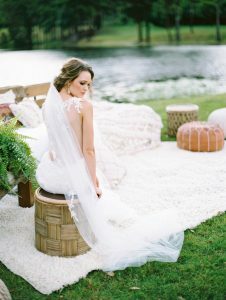 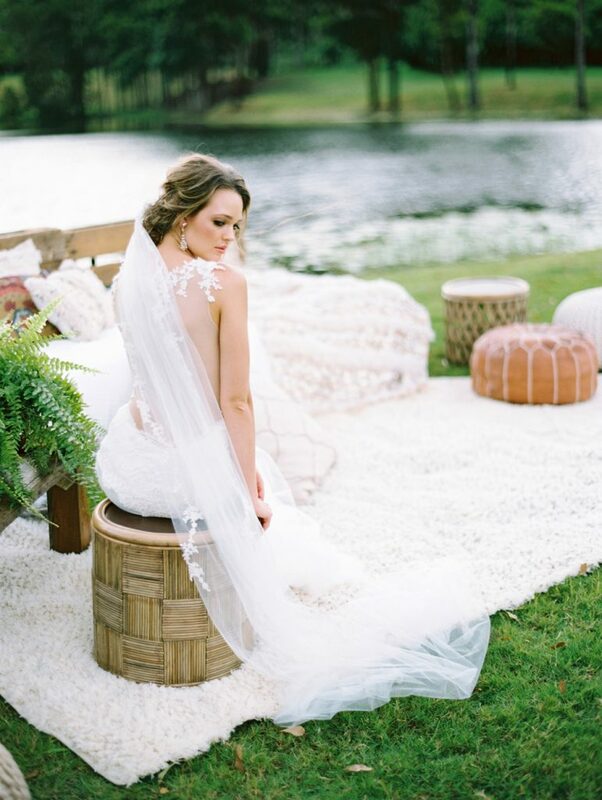 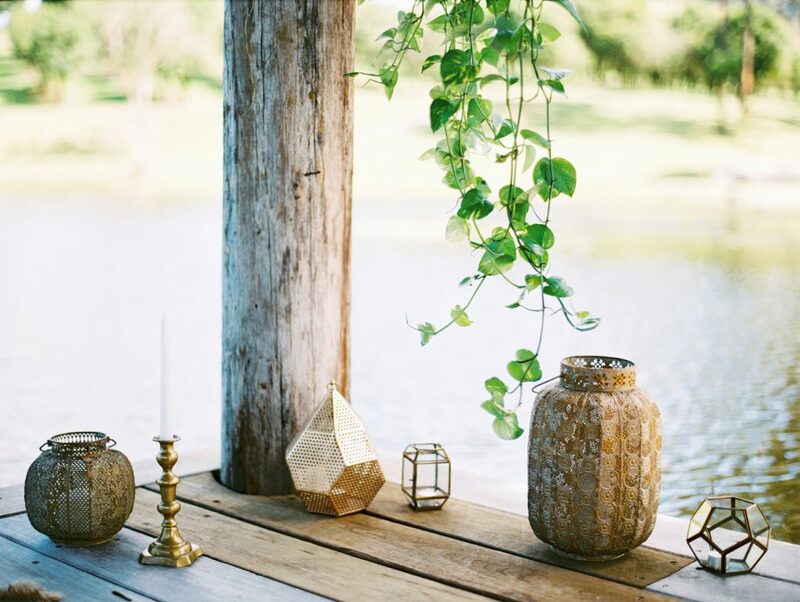 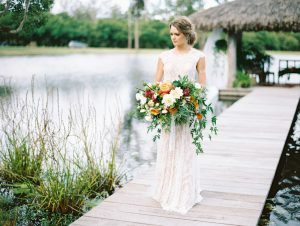 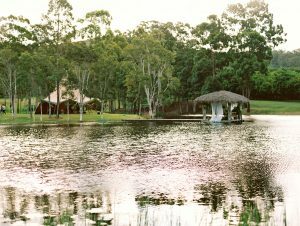 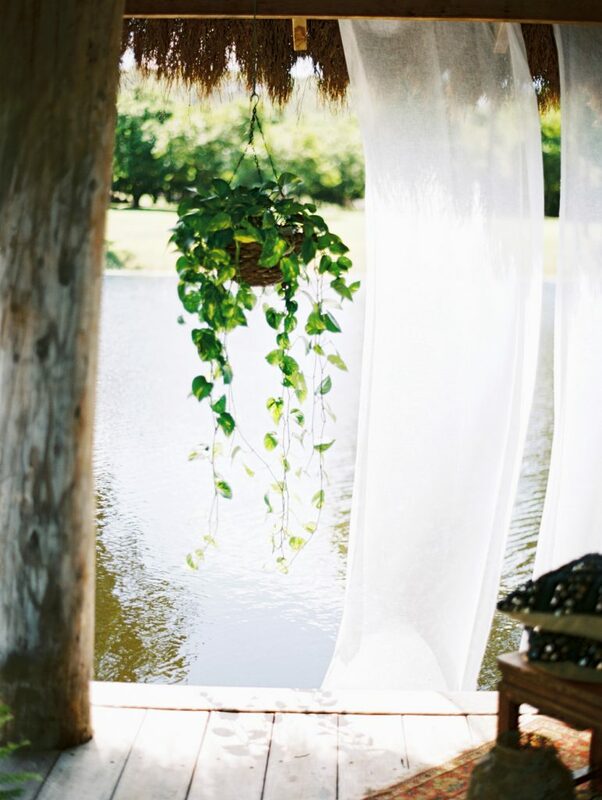 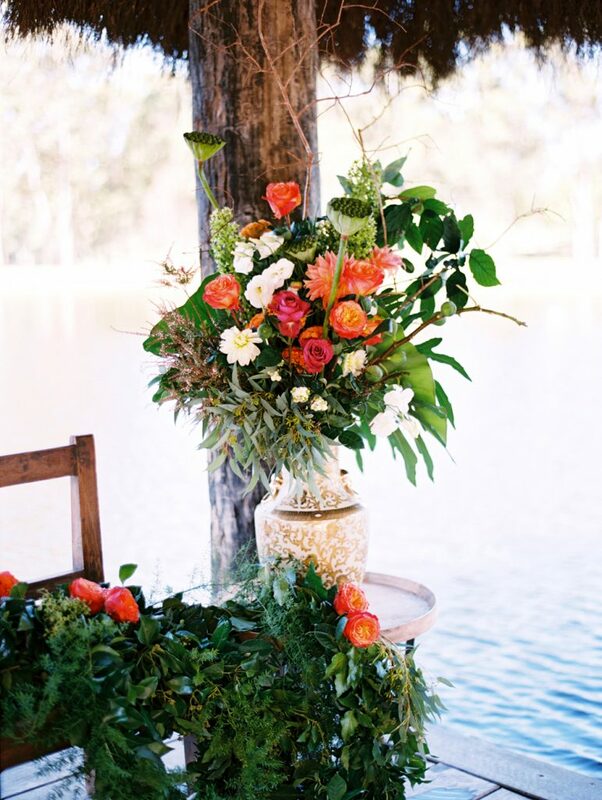 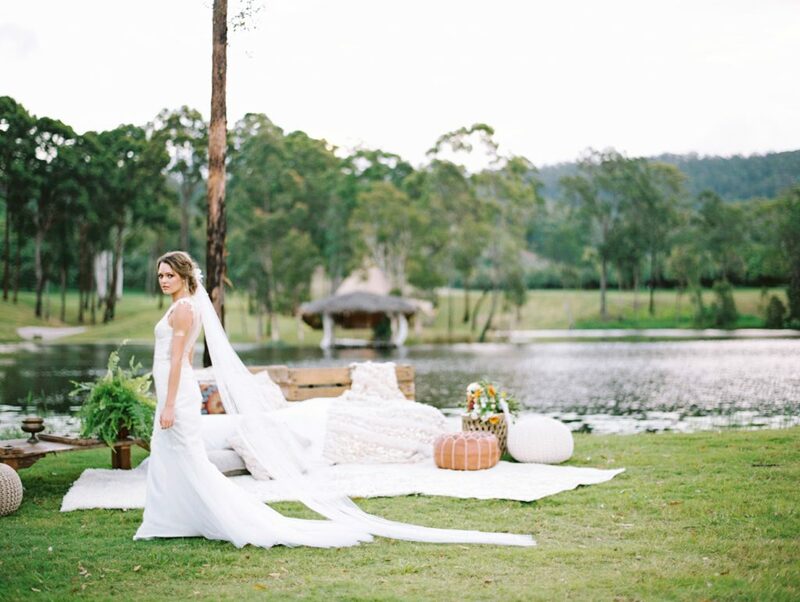 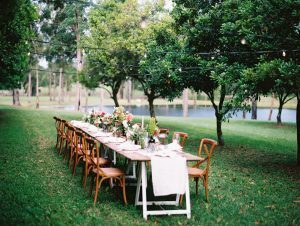 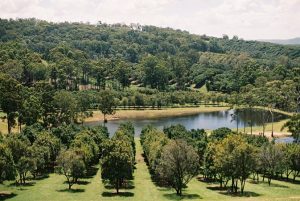 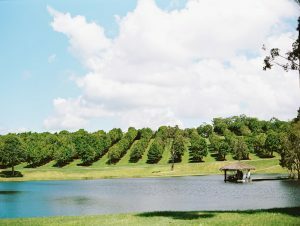 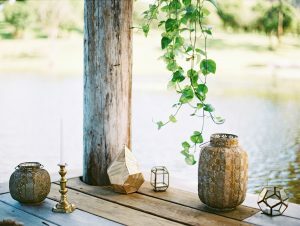 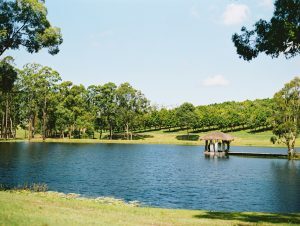 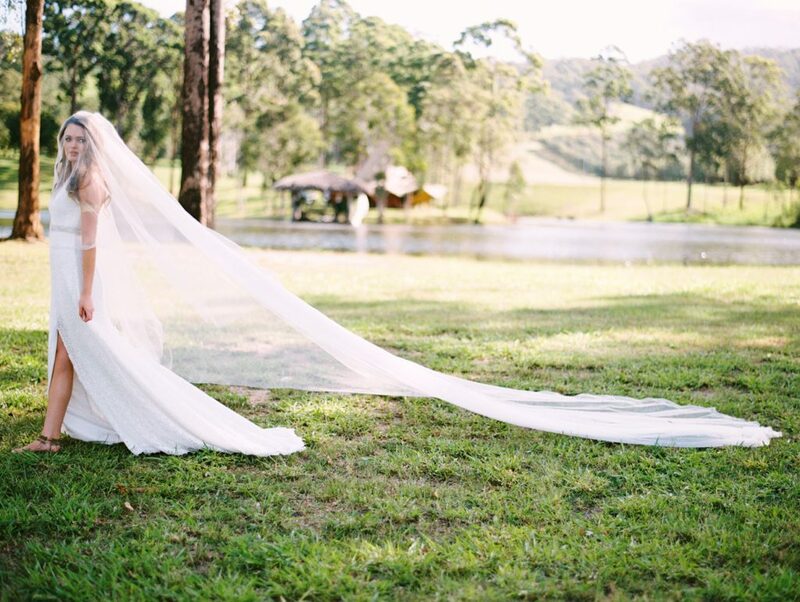 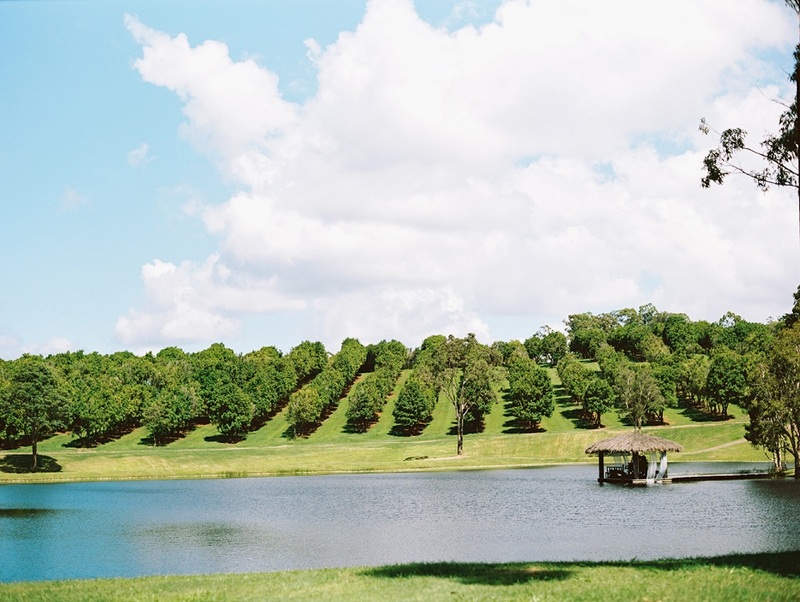 The location was a perfect canvas to work with offering a variety of its own textures via the lake, the hut on the lake, macadamia rows, and manicured lawns surrounded by some exquisite native trees. 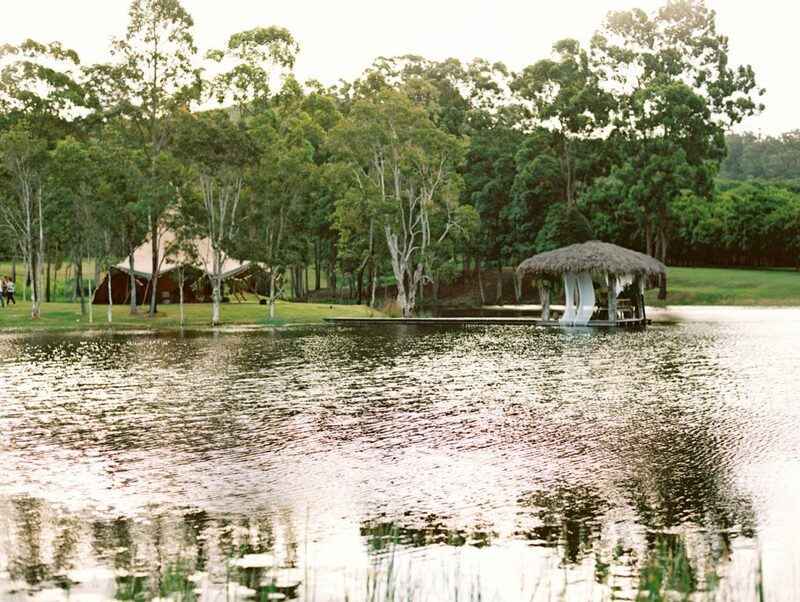 It is one of our new favourite venues. 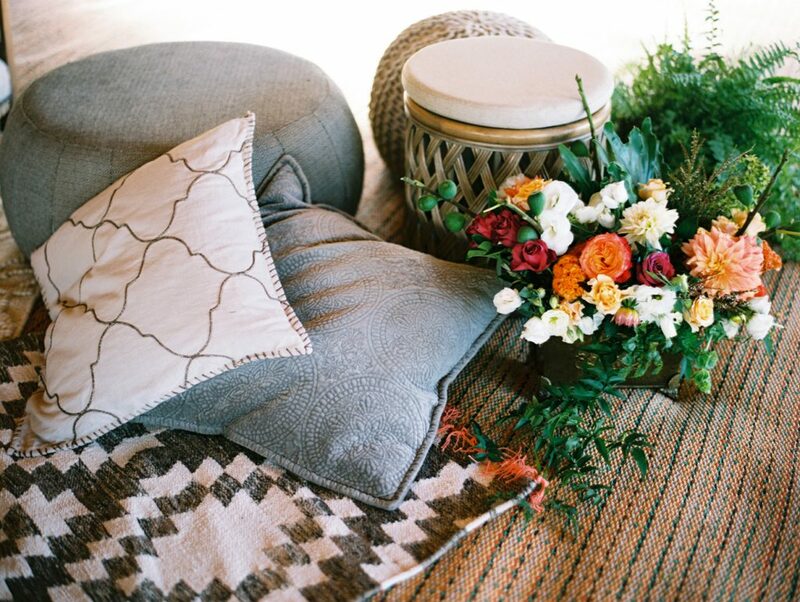 What kind of mood were you trying to create? 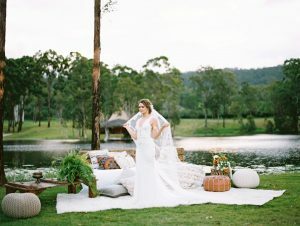 What kind of bride do you imagine might have this type of wedding? 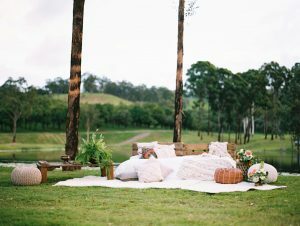 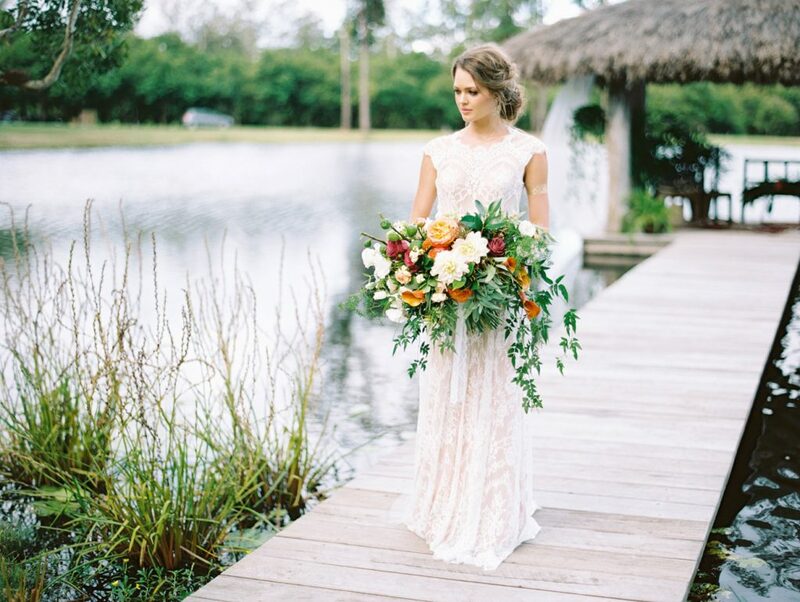 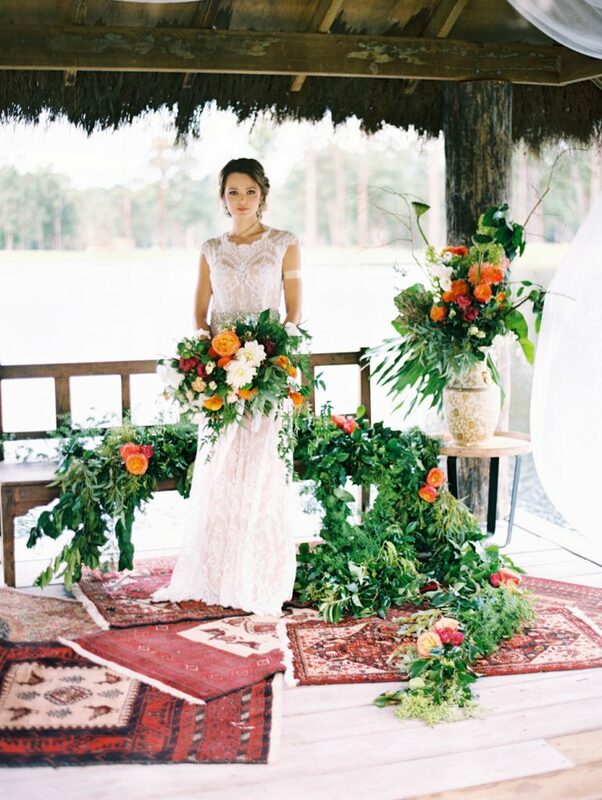 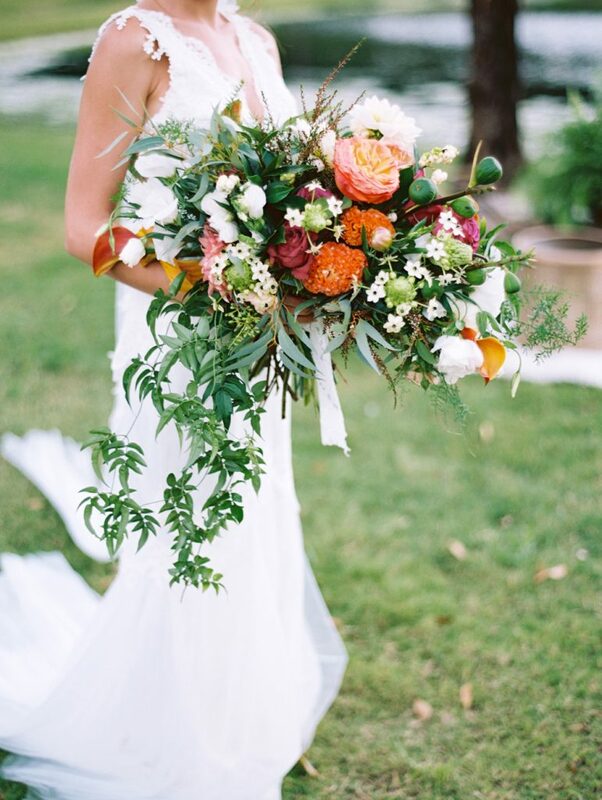 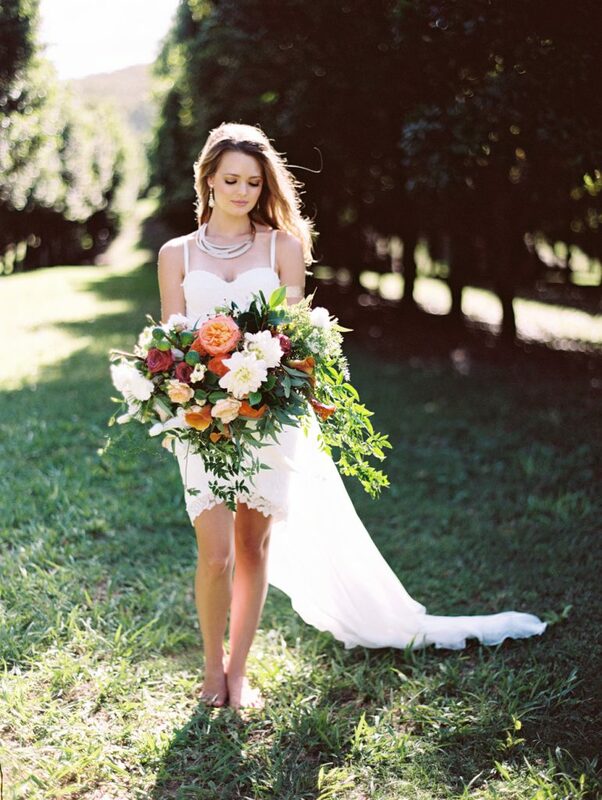 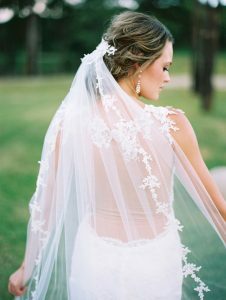 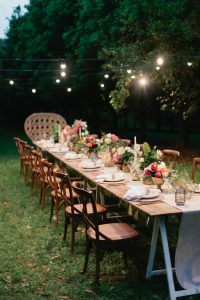 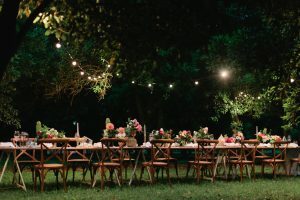 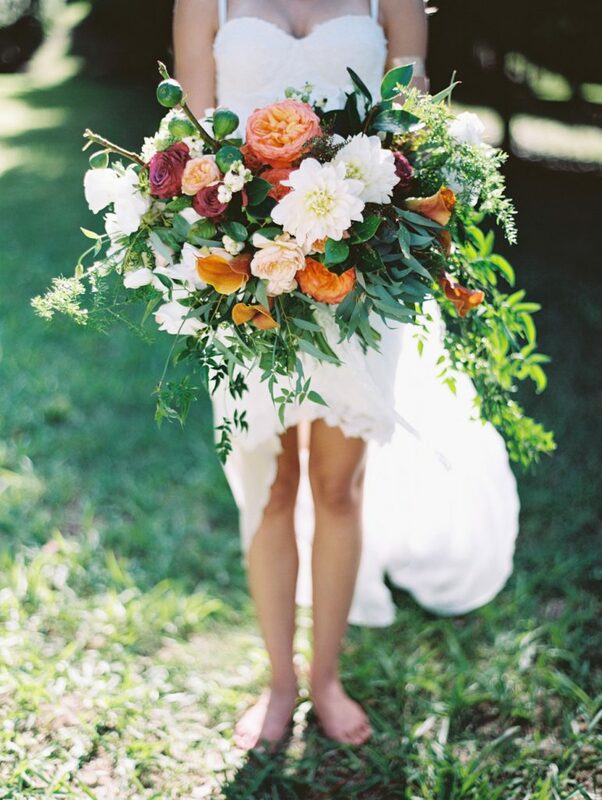 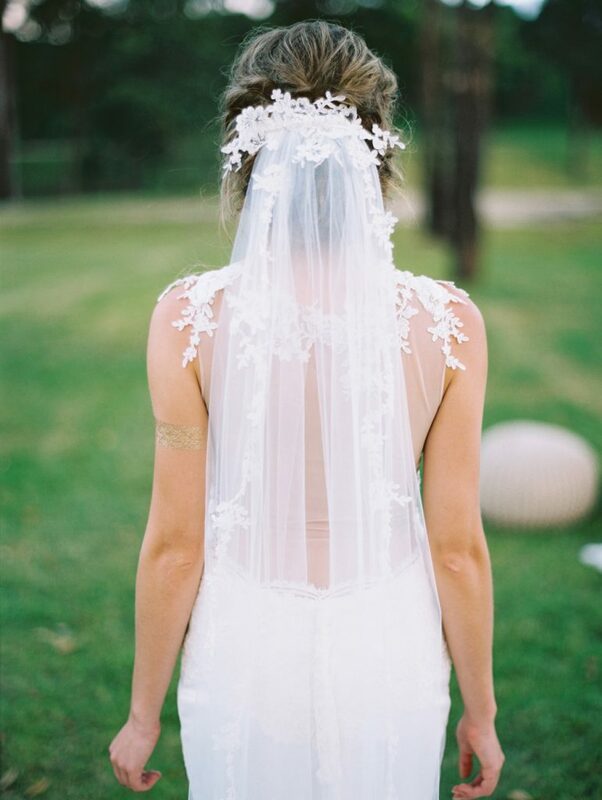 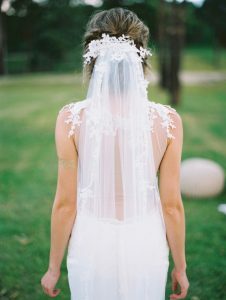 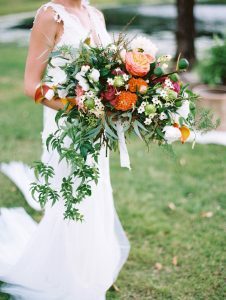 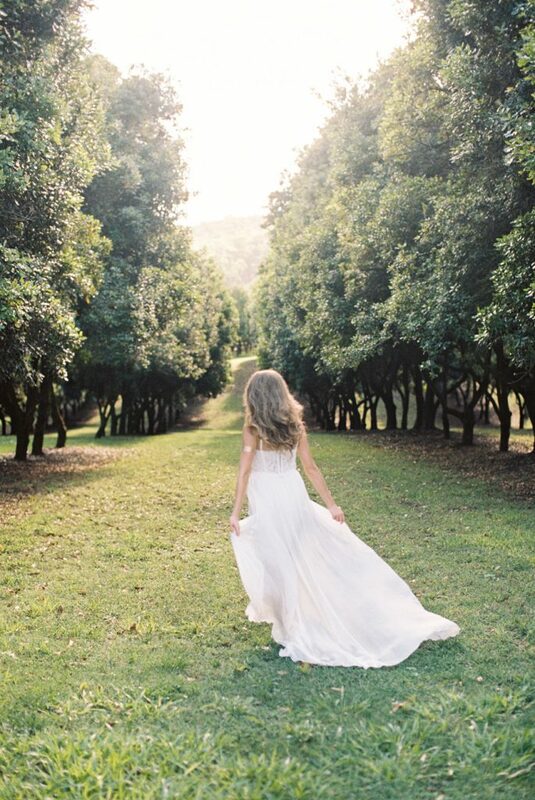 I think that this bride would be looking for an outdoor wedding, but not too wild – this location is groomed, and therefore, luxurious in its own right. 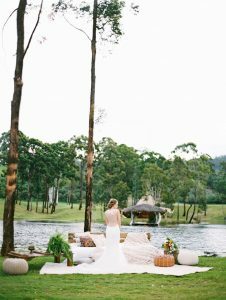 This style suits an intimate wedding, with the bride wanting to create the feeling of relaxed decadence with an international flavour. 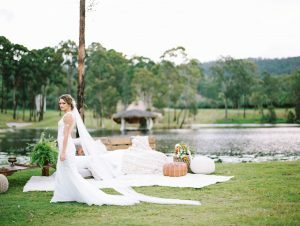 Why did you want to create this shoot? 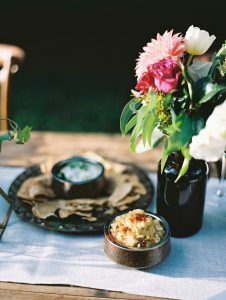 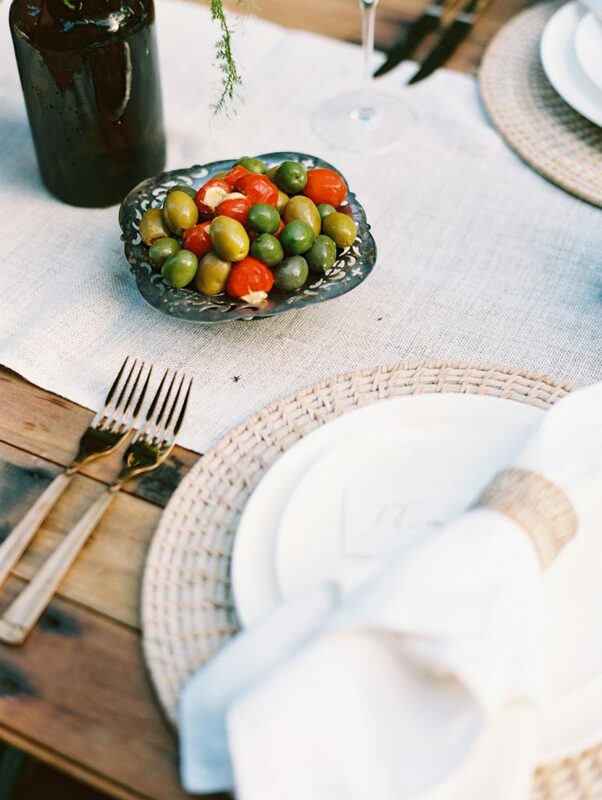 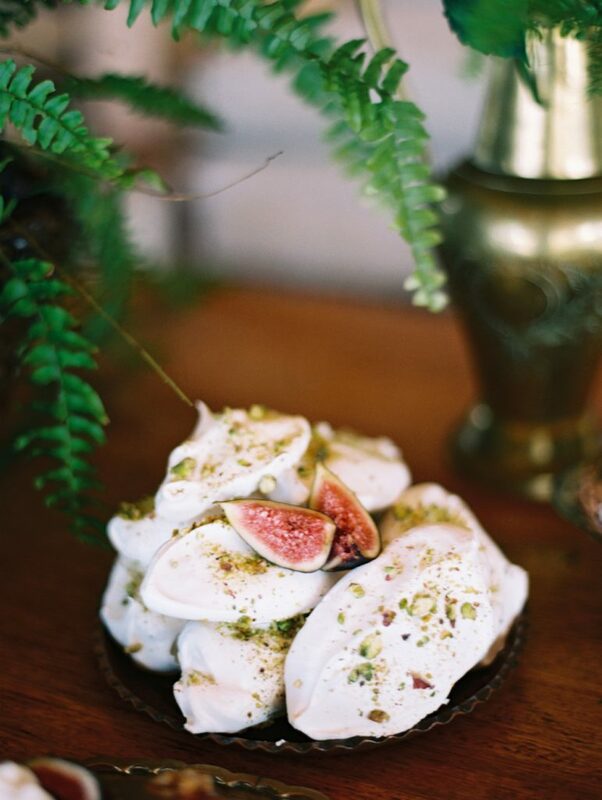 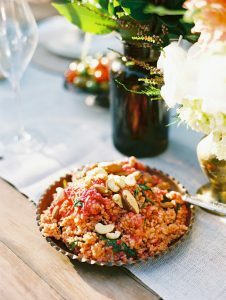 I wanted to do something that bought international inspiration to a gorgeous Australian setting and I have a passion for Moroccan food and styling, so this helped! Did you incorporate any cakes? 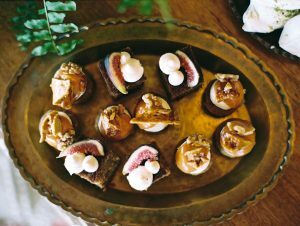 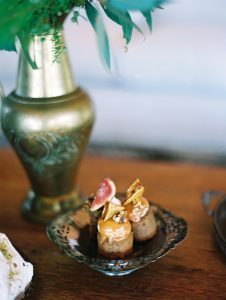 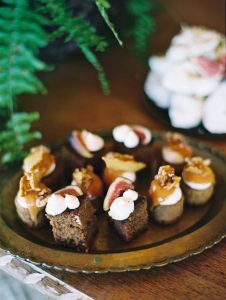 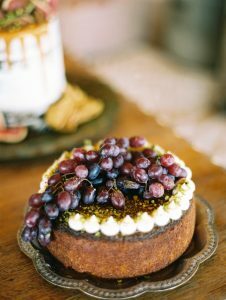 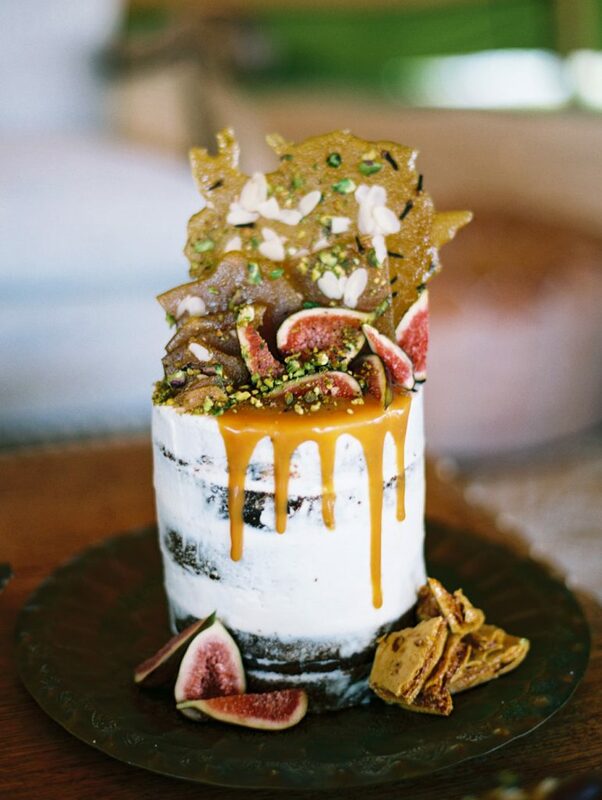 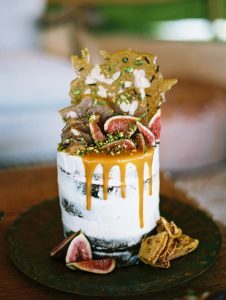 The cakes were all created using Moroccan flavours and textures. Things like rich caramels, figs, and then pistachios and pomegranates really bought the tastes of Morocco through. Any particular highlights or funny moments from the shoot? As with any styling job, to push the boundaries, we really do walk on the wild side and yes, when working on a pontoon, there was bound to be one moment of recklessness and yes, someone is bound to get wet!